Author note: If you want to omit the sautéed shallots in butter, feel free to do so. It saves time and does not affect the overall outcome of the frittatas. In a sauté pan, melt the butter over medium heat. Add the shallots and cook until softened, about 3-4 minutes. Remove from the heat and let cool. Place the eggs, salt, dijon, gruyere, sautéed shallots and cream into a medium size bowl. Whisk until combined. Butter the inside of six small ramekins. Fill each ramekin 3/4 of the way full with the egg mixture. 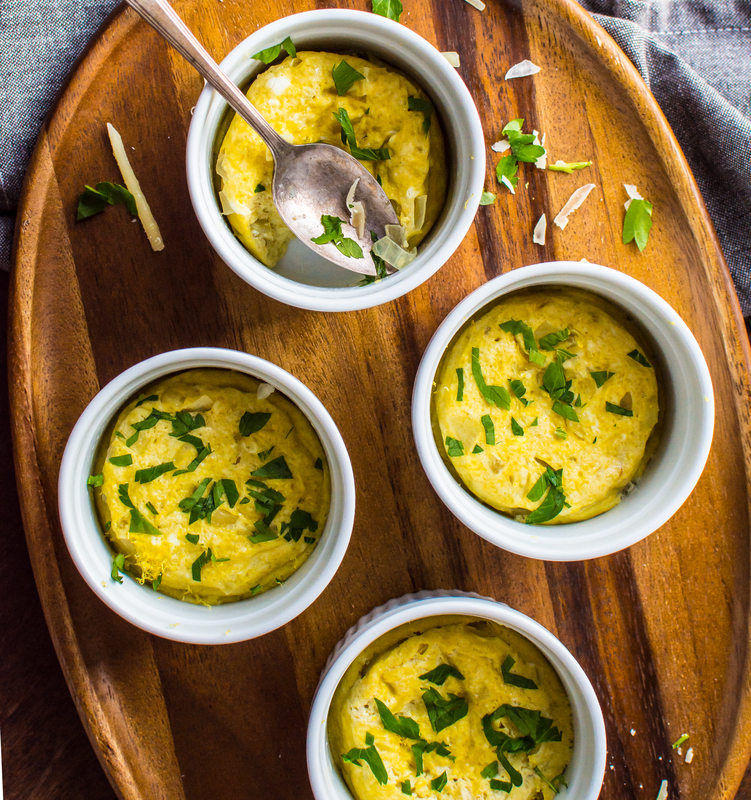 Place ramekins onto a rimmed baking sheet and place into the oven. Bake for 20 minutes, or until eggs are puffy and baked all the way through. Top with lemon zest and fresh parsley. Serve warm. This entry was tagged a pleasant little kitchen mini frittatas, brunch ideas, dallas food blog, dallas food blogger, freezer friendly eggs, individual breakfasts, mini frittatas, mini gruyere and shallot frittatas. Bookmark the permalink.